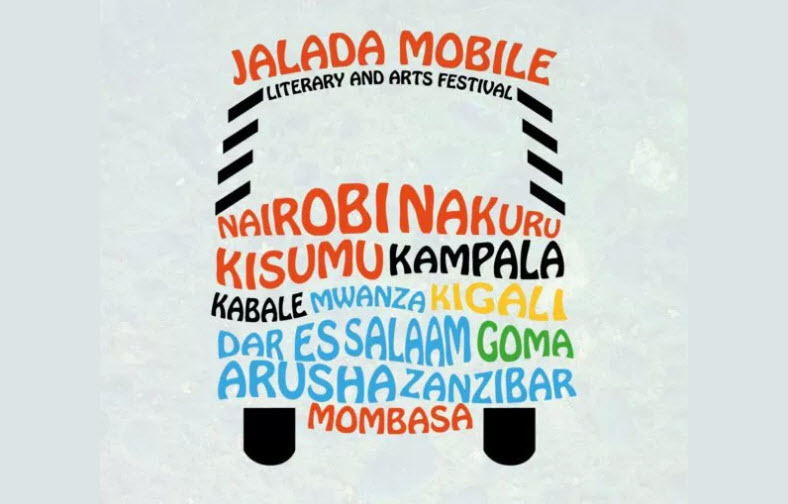 Twelve cities in East Africa will be visited in March by the Jalada Africa writers’ collective’s first multinational festival, a celebration of creativity. 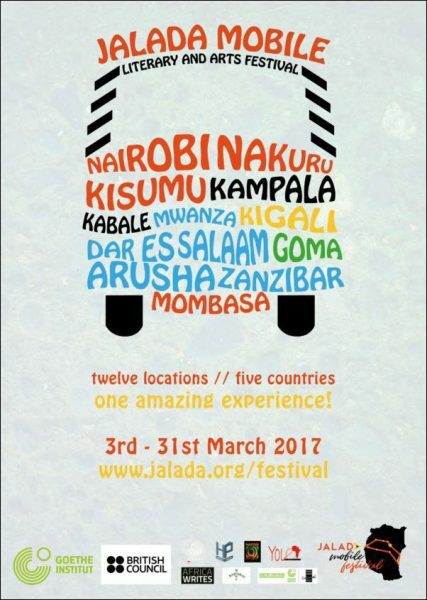 At Brittle Paper, Otosirieze Obi-Young reports that after more than a year in the making, the pan-African writers’ collective known as Jalada Africa has announced a traveling literary festival, the Jalada Mobile Literary and Arts Festival—with an itinerary taking it to five countries of East Africa. Goma in the Democratic Republic of Congo. All told, the tour is expected to travel some 4,500 kilometers. With the intent of celebrating diversity and creating “living connections between writers, artists, and diverse audiences” in cities of East Africa, the festival comprises all-day events including panel discussions, literary readings and debates, spoken-word and theatrical performances, creative writing and translation master classes, poetry workshops, exhibitions, art installations and film screenings. Featured in these activities are writers and artists selected from the Jalada collective, as well as authors, performers, and influential personalities from East Africa and beyond, along with international voices. The festival will also make use of new and “imaginative ways of documenting literature and art” through the use of mini-documentaries for cell phones. Jalada’s partners for this festival include the Goethe-Institut Nairobi, and the program is funded in part by a British Council nAnA grant—nAnA stands for ‘new Art new Audiences‘—as well as by cultural institutions from several parts of the region. The full article by Otosirieze Obi-Young at Brittle Paper is here.